THE ARTS gallery will host Elizabeth Mellott: A Delicate Nature (Faculty Solo Exhibition), from October 3-October 26, 2018. 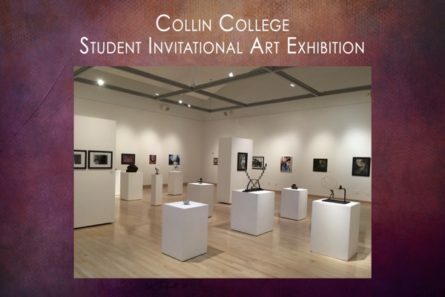 THE ARTS gallery will host the Collin College Student Invitational exhibition, from May 2 through May 30, 2018. THE ARTS gallery will host Site_Fjord_Fjall>>blueblackgreen, an exhibition, from November 1 – December 8, 2017.